The Notification tab has been removed for all National Registration Forms. 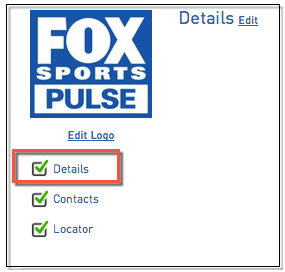 This is due to an issue with the usability of this function. While we make the necessary changes to the system to allow this functionality to work correctly, we have removed the notifications tab to stop confusion. 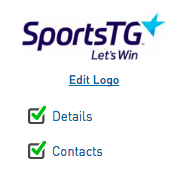 Notifications are automatically set to send to the League, the Club, the Member and if a parent guardian email is entered in the registration form, a notification will also be sent to a parent. 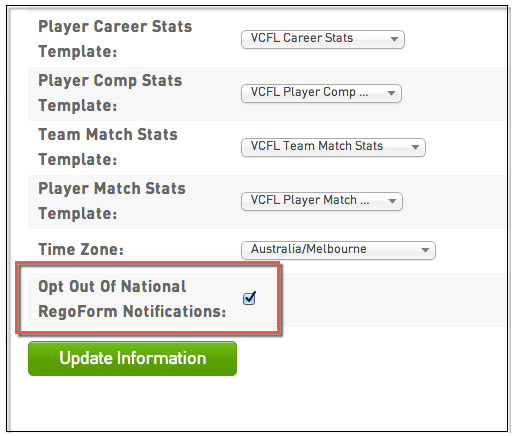 Leagues, Sailing Organisations or Aussie Hoops Centres can opt out of NRS notifications by clicking Details on the main dashboard. For those Clubs that do not want notifications, they can either create a new email account specifically to have the notifications sent to or set up a rule in their inbox to divert those emails to a specific folder. Recipients of email notifications for Association and Club Administrators can be set up from the Contacts page where if the Registrations box is ticked and a valid email address has been entered in for a particular contact, they will receive email notifications of registrations. Ticking the Registrations box as shown below will then mean that email address will receive notifications regarding registrations.